Born in 1958 in Predappio di Romagna, Tumidei spa has over 50 years of experience. During this time people all over the world have radically changed their idea of home, family life and, as a consequence, interior design. 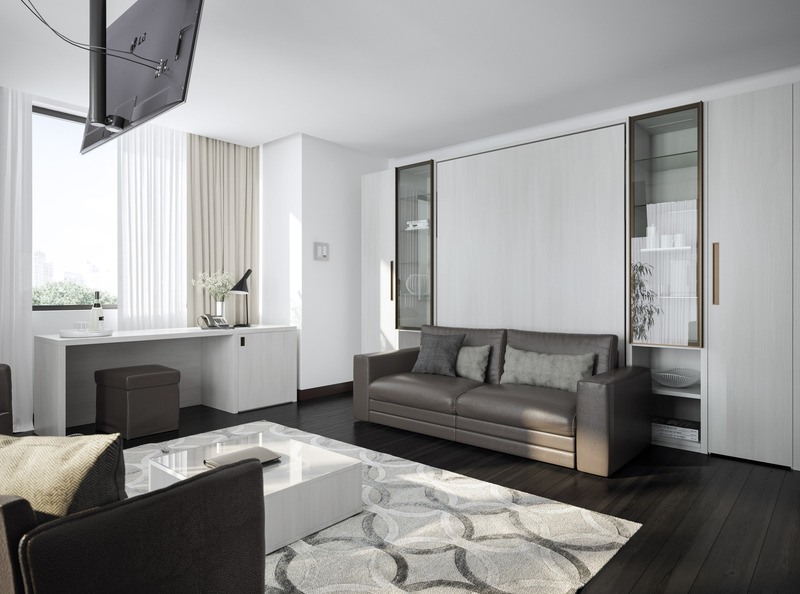 The continuous search of the most sophisticated consumer-driven solutions for interior design represents one of Tumidei’s success factors and the motivation for the Company’s thoughtful and consistent growth. One of our newest catalog offerings, Tumidei's Italian designs have been a highlight in the Boston showroom. 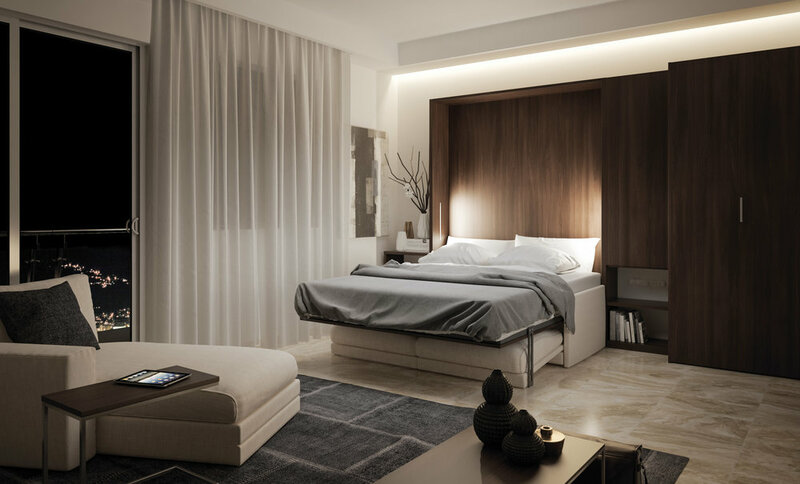 ON-OFF from Tumidei is a living/sleeping system designed to transform your house without the house noticing. 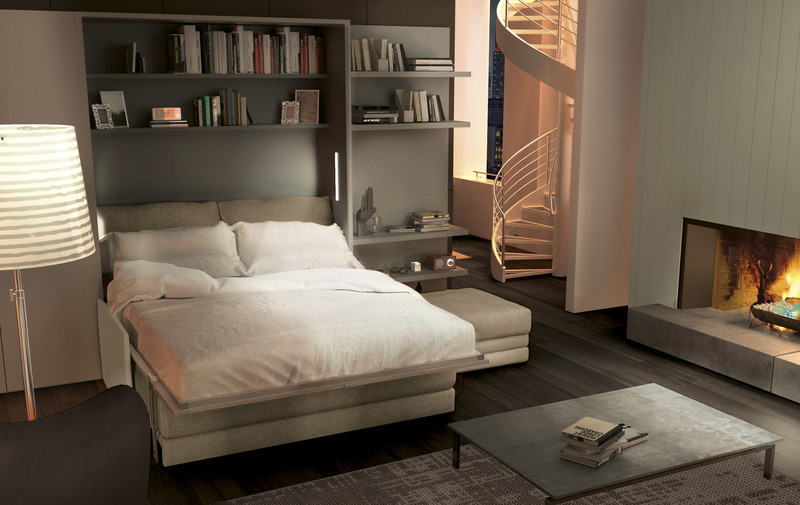 It is not the usual sofa-bed for a stopgap solution, or an old fashioned looking Murphy bed with no aesthetic appeal. Instead, ON-OFF is a real bed placed over a real sofa. With a standard mattress of 18 cm height, ergonomic and comfortable, and many modular optional elements for a complete customization. ON-OFF is the perfect solution for anyone facing organizational and spatial challenges.